To get into the Chinese New Year mood even more, I baked another round of Chinese New Year cookies. 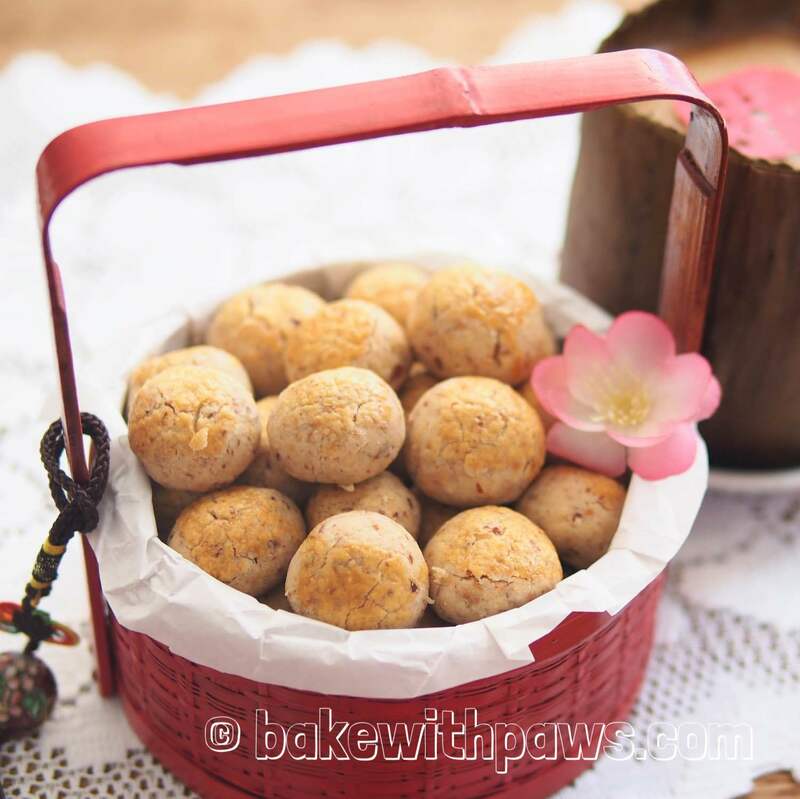 The recipe is not new as I baked these last Chinese New Year. This time however, I managed to shoot betterr pictures. My mother in-law told me that these are the best Almond Cookies she has ever had. They are crunchy and they melt in the mouth at the same time. She enjoys it so much she's been having it every morning with her breakfast. Happy Baking and Gong Xi Fa Chai! Preheat oven at 170C. Line the baking trays with parchment paper. 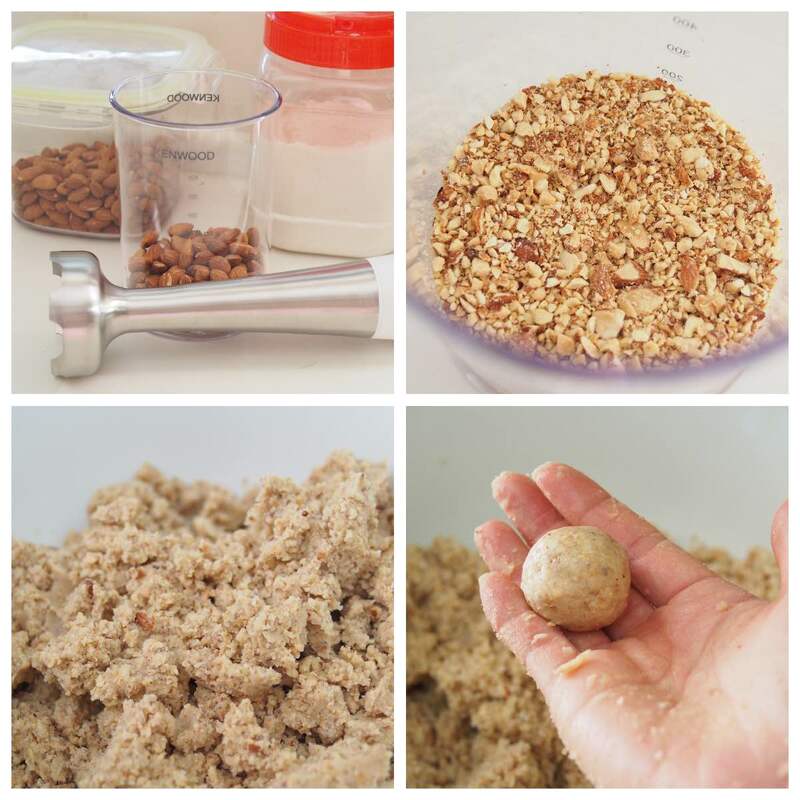 Toast and chop almonds with hand blender. Do not blend the almond too fine so that you can taste the crunchiness. Sift the flour together with the baking powder, salt and bicarbonate of soda. Add in the toasted chopped almonds and sugar. Mix all the ingredients thoroughly. Add in oil slowly and mix thoroughly till dough doesn’t stick to the hands. Knead for few minutes. Shape the dough to small balls. Place balls of dough on a lined baking tray lined. Apply egg wash.
Bake at preheated oven for about 25 to 30 mins, or till golden brown. 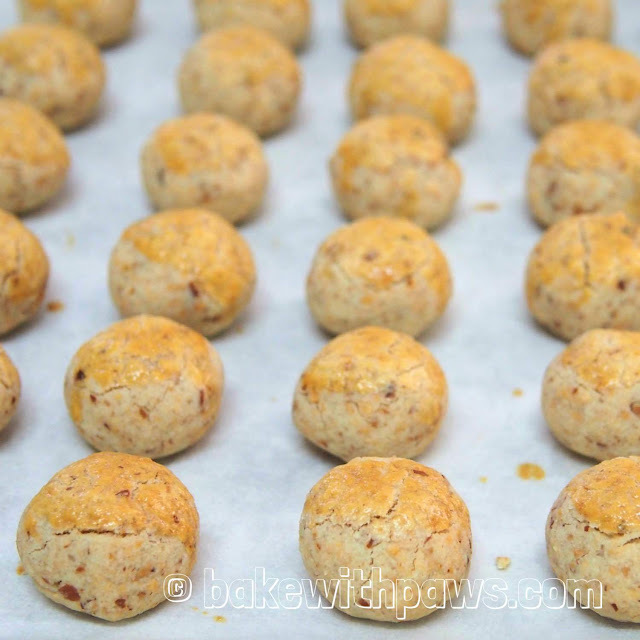 Remove from oven and let them cool completely before store in an air-tight container. Can advise how long to toast the almonds? Hi, I used Airfryer to toast the almond. About 160C for 10 minutes. I checked regularly. Once is brown, remove it. For using oven, 180C for 8 - 10 minutes.